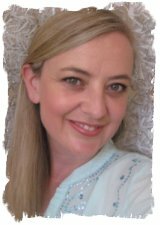 Hello, I’m Cathy Birkinhead, and I run regular Bedfordshire Reiki training courses from my base in Eaton Bray, which is near Dunstable. I was originally born in Toronto Canada. I grew up in the UK, and up to a year ago I had lived and worked in London for ten years. London was the place that put me on my healing path back in 2002, I grew up as a dancer but had decided to do other things, I had started to learn Tai Chi and Qi Gong, and this is where I started to discover my energy in a different way, seeing it and feeling it….I then started to read up on auras, chi, chakras and all sorts…. I found myself drawn to healing. I remember I had a free day off work and had gone to the local shopping Centre. I saw a Natural Therapy Centre with the Yin/Yang sign and found myself going inside. I didn’t feel I had anything physically wrong to deal with and my life seemed pretty ok, no real complaints so I should be happy but I knew I wasn’t , something was missing but I didn’t know what. I explained myself to the receptionist and she told me to have a look through the different treatments and practitioners and see which appealed to me. And there it was Reiki Master Teacher offering energy healing. And so I had my first Reiki treatment….it was like no other experience I’d ever had! I thought it would be like a massage and I would be relaxed and chilled…but it is never the same for everyone and I found it to be an extremely physical experience – it was like I was a bottle, and the healer had got a bottle brush and given my energy a good clean out!! During the treatment I had experienced feeling hot, then getting cold shivers, tingles all over, then a feeling of heaviness, my throat felt so intense, and this was no surprise as I’d had surgery for my Thyroid a few years before. I cried and also got the giggles! I felt like I had been through so many sensations in that treatment I was pretty shell shocked!. The Practitioner gave time afterwards for us to talk and for me to recover. It took a good few days for the dust to settle…but I knew I felt different but wasn’t sure how, or how to talk about it…of course this was my own experience and very often it is not as extreme for others. I am a very open person and like to embrace new experiences and express myself, so maybe that is why I was able to experience it in so many ways? Well I had to go back! I wanted to know and learn more…I was intrigued! After a couple of treatments I took some healing courses in other various healing systems before deciding to learn The Usui Reiki system, and take my Reiki Evolution training in 2006. When I was deciding which Reiki to learn, Reiki Evolution really appealed to me, I think it was the combination of aspiring to the original teachings of Usui, and learning to use the energy in an intuitive way. It seemed to really resonate with me, plus I knew it was an energy that would help “ground” me in a calming, peaceful way which I wanted to embrace. Prior to learning Reiki I had been through a number of psychic experiences that had really knocked me sideways, and learning Reiki truly helped me through this new awakening. Finding the right teacher can seem a bit daunting! But I feel the best way to find one is by trusting your intuition and going with your gut feeling as well as finding someone registered with a recognized organization with good credentials. I guess it’s the balance of the two! I found a number of local Reiki teachers on line through UKRF (UK Reiki Federation) and as I went through the names, one stood out to me “Kay Gillard” and as I read her details on line it was clear that her style of teaching was resonating with me, plus the Reiki Evolution philosophy of getting back to the original teachings of Mikao Usui, just all made sense! I also liked the work books and CDs to help you prepare, it gave the training structure and detail which appealed to my analytical and organizational side! I remember my first Reiki attunement I got extremely hot and so did my teacher Kay! We had to open all the windows to cool down! Other students on the same course where having totally different experiences to me, some seeing colours, some feeling totally blissed out, calm, peaceful…… I wondered why I wasn’t experiencing that, but we are all different and we get what we need and what is appropriate for our energy and the greater good for all, so best to just except and go with the flow :0) It was after level 2 I got the “Reiki flu” fall out and was out of the game of life for 48 hours. Then I was full of beans and spring cleaned the house and had a new lease of life and a surge of inspired creativity. This was the beginning of me starting work professionally as a Reiki Practitioner. Any exciting time of new beginnings! For Reiki Master teacher, during learning the material in the work book I ended up channeling a symbol…..I took it to the course and we all experimented with it as an energy….it was interesting getting feedback on my symbol from other Reiki students and my teacher! I was starting to get Clairvoyant messages when doing treatments and I guess the energy work was opening me up to other skills that I didn’t realize I had, like Channeling and Clairvoyance….very interesting how Reiki can also lead you to other things….. When I first started Reiki I would practice on friends and family on a bed or on cushions/blankets on the floor or in an armchair. Every opportunity I got I would offer Reiki. Even at work if someone had a painful neck or had hurt their wrist or knee or ankle, I would step in and offer Reiki…this really built my confidence, and the more experience I got, the more comfortable in myself I felt about what Reiki meant to me and my life…I was starting to become more true to myself about who I was. The Reiki journey can be quite lonely to begin with ….your other friends and family might not understand, and might not want to, they may feel threatened by the positive changes you are making in your life, worried you may leave them behind…it is all part of the course sometimes…what’s great about Reiki Evolution is the support network before, during and after your training! It is invaluable to be able to talk to other like-minded people when learning Reiki and having the on- line community gives you that. Plus knowing your teacher is only an e-mail or phone call away if you have any queries is a great comfort. Sometimes you have questions that you feel only they would understand! So this is something my teacher did for me and what I do for my students too. After qualifying as a Reiki Master Teacher in 2008 it wasn’t long after that I found my Reiki clients wanted to learn from me how to do Reiki for themselves and so I was teaching by the end of the year. I was surprised how quickly I had started to teach, but the Reiki energy tells you when you are ready, not necessarily the other way round! I started running Reiki classes in South West London in October 2008, I moved out to the country in Oct 2010 and have started to teach Reiki from my venue in Eaton Bray, Bedfordshire. Over the last four years I have had students from all walks of life….and some of them have been my greatest teachers! It is a privilege to be part of a students’ healing journey, especially to assist them in opening up to the energy, and being on that journey with them in a nurturing and supportive way as they grow and develop. It is so satisfying, and yet humbling to be able to empower others to help themselves, I get so much joy out of that! If I look back at the various teachers I’ve worked with over my life, it is no doubt that the ones I remember the most and consider with the highest regard, have been passionate, great communicators and able to inspire others. My own teaching experience comes from many different backgrounds over the years. I was teaching dance from the age of 14 on Saturdays, and became a dance teacher for 4 years when I left school, in recent years I assisted in teaching beginners at my Tai Chi classes, and was a coach/trainer full time in a sales/target driven environment for 5 years. Through Reiki Evolution Taggart provides very thorough and comprehensive learning materials for all students, and receiving it in advance means the course on the day is very practical, with exercises, meditations and treatments, and yet at the same time plenty of allowance for discussions and sharing our experiences. I always teach in small groups and this gives the opportunity to tailor the day to the individual needs of the students. Learning Reiki is a very personal journey, but at the same time it opens up new experiences, new friendships and opportunities for growth. Healing has helped me through some of the darkest moments of my life, and best of all it has brought me wonderful friendships with like-minded people, acting as a support network and guiding me through my own development, /My wish for my Reiki students is that their Reiki journey is as enjoyable and healing as my own . 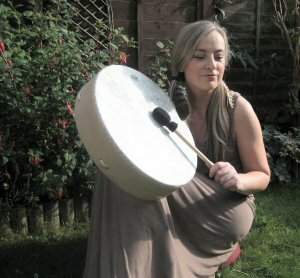 I teach all levels as well as Reiki Drum Technique and hold regular Reiki shares for my students and local Reiki Practitioners.